An interview with one of the “acknowledged programmers” whose contributions to early computational population genetics have been examined by an analysis of article acknowledgment sections. Guest post by Emilia Huerta Sanchez and Rori Rohlfs. 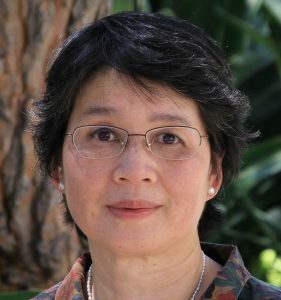 Margaret Wu, Professor Emeritus at the University of Melbourne, is a leader in the field of education statistics, having published 80 articles, chapters, and books (and counting!). She made her start in the 1970s as a research assistant at Monash University, programming statistical analyses. In that position, Wu designed and programmed statistical analyses for numerous publications across disciplines. Like other women research assistants in that era, Wu’s contributions were recognized in acknowledgements, rather than with authorship (Dung et al., 2019). We want to visibilize both the technical contributions and career paths of scientists like Dr. Wu. She generously provided some insight into her work as a research assistant and subsequent career path. These are edited excerpts from that conversation. First, with all of your different areas of expertise, how would you define yourself? I would definitely define myself as a statistician, and the programming is the tool to do things. But nowadays, it almost seems to me programming is the important part of doing statistics. We can’t do statistics without programming. But I would define myself as a statistician. You went from being a research assistant in a math department to being a professor emeritus in an education department. Let’s start with your first job: could you please describe how you got the job and what it entailed? My very first job was as a research assistant at Monash University. That was in the mathematics department, which includes the statistics department. I had finished an undergraduate degree in statistics from University of Melbourne, and I had done quite well. A professor who had moved to Monash University [from University of Melbourne] recommended me for the research position. My job was to support any project that any researcher had a need for. I remember the work consisted of programming lots of things, basic statistical programming. When professors needed help on their research projects, they would explain the problem to me, and I would work on the solution. Sometimes that involved finding parameter estimates, coming up with a reasonable algorithm to find numerical estimates, and dealing with numerical issues. When I was hired, I actually had no programming experience at all so I had to learn programming on the job. Were you happy with your job? I was very happy. Yes, I was seeing this as my first job after I finished university, and I really wanted to find a job. That was the first time I earned an income—before that I had odd jobs here and there. Did you know other female research assistants? Yes, I did. They also helped with programming, and sometimes they needed a little bit more instructions about how to write code, but they still did the code themselves. But there were others who pretty much just did the data entry part of it. And they were at all different levels depending on the capabilities of the people employed. Did you know PhD students when you were a research assistant? How was your work different from theirs? I knew a couple of people who actually went to University of Melbourne [as undergraduates in statistics] with me, who were then PhD students at Monash when I was there as a research assistant. While I had to work on any project that a researcher had a need for, they were much more focused on their thesis topic. I was being paid as an employee, and graduate students were on scholarships. In those days, I think graduate students pretty much worked independently on their own project, on their own topic, and there wasn’t much collaboration. Were you ever encouraged to do a PhD as a research assistant, and would you have considered it? No, not that I recall. I think I could possibly have found that attractive. I’m not quite sure at this point, thinking back now, but because I come from a somewhat academic family, and because my father was a lecturer at the university, being in academia was very highly regarded from the family point of view. But at that very time, I think I just needed to have an income since I wasn’t living at home. And the second thing is that I really had a fear for public speaking which I thought probably all academics had to do. So, that also really put me off. But had someone suggested that I do it, I possibly would have found that an attractive idea. How much time did you work as a research assistant, and what did you do next? I was there for about three years, and then I moved to another organization, called CSIRO. It’s the Commonwealth Scientific and Industrial Research Organization, which consists of many, many departments, including basic science and biological science. Their statistics division really did support all the other divisions. After about three more years at CSIRO, I was pregnant with twins. And that pretty much meant breaking the career, because I was thinking about having to care for two kids. So, probably it would have been pretty much impossible to continue to work. I had a break for about two, three years after my daughters were born. How did this happen? Did you feel encouragement or pressure? I think it was my decision and no one else’s. I decided that actually, motherhood is important. I thought when the children are younger, I should bring up my own kids myself. I did find that quite tough as well—quite immensely not stimulating. I did that for one year, then I went and took a computing course to get out of the house a little bit. After a couple years I started doing a little bit of part-time work in the statistical consulting center at University of Melbourne again. So, you had been a research assistant at Monash, and then CSIRO, and then what were the next steps in your career path? Then an opportunity came up for a maths teacher and a Chinese teacher at a private girls school. I was approached, and it was very short notice. A friend’s friend just said, “Would you like to come and help us out?” I thought that was a good job for a mother, so I got into teaching secondary school for three years. It was still very part-time until my daughters started high school, that’s when I thought I could go back to a full-time job. But I didn’t like teaching in high school. I found that the discipline part was very difficult. You have to pretend you have a lot of authority in front of the kids, or else you’ll be in trouble. So that was very good training. So, besides the fact that I didn’t like the job, I think I’ve learned a lot from it about how to teach. It’s interesting, when I just finished university I was terrified about speaking in public. I think that three years teaching the high school trained me out of it. After that experience, you thought you’d get back into statistics? That’s when I applied for a job at ACER, which is the Australian Council for Educational Research, to run an international study project for the Third International Mathematics and Science Study. I applied for the job—I didn’t get it. But a couple of months later, they had an opening for someone with statistical skills, whereas that first job that I applied for was more administrative. So, then they contacted me. That’s how, when I just turned 40, I got the job at ACER. And got into more statistics. You’re doing this research and you thought maybe you would be interested to pursue your PhD? Actually, I started not directly to a PhD, I started by doing a masters degree. One of the things I was doing at ACER was developing new methods to develop fit statistics for certain estimation models. Someone just said, “Oh, why don’t you write it up, and make it a master’s degree thesis.” So, I did that. You had some encouragement this time? Definitely. Yes, I did. I think people at ACER were quite well qualified academically, so I was encouraged to consider higher degrees. And they recognized that the work that you had already done actually constituted a master’s thesis? Yes. It’s very interesting actually. I had to do the master’s degree at a university. So, I went to Melbourne University, and I approached a supervisor, and basically, I never saw the supervisor the whole time. When I completed the thesis he said, “Well, you’re very easy to supervise,” he said, “I’ve never even talked to you once.” There was actually no one at Melbourne University with relevant expertise anyway. So, I pretty much just did my work and submitted it there. My thesis actually won an award at the university. How did you get into your PhD? Melbourne University had a program where they collaborated with industries. They had an industrial partner to develop an assessment in problem solving. They were looking for PhD candidates. By then I aspired to get a higher degree, and I really got interested in research. I decided I was going to pursue that. So, I started the PhD, actually working part-time at ACER and part-time doing the PhD. How old were your kids at this stage? They would have been about 20 already when I started the PhD. How did you get a faculty position after your PhD? I was doing a PhD, but I was probably better qualified than most PhD students at that time, thanks to my working experience and background. I was in the position to be able to teach already. So, that’s how it started. Then I decided the university was a better environment to continue researching. I think I was very lucky that I was able to do lots of research at ACER. But we didn’t have as much freedom with the subject matter. Can you say a few words about some of the research that you were doing? We basically modeled student assessment data. We model the underlying student abilities as latent variables. They’re latent, because they’re not observable. The whole idea about latent variables actually is applied in what they call psychometrics. It’s actually quite a wide field. Did you always enjoy the programming you did? There are always two sides to it. I got frustrated in programming because sometimes I couldn’t do simple things. But I had to learn it. It’s quite rewarding. Sometimes you have to learn something, but the reward comes later. I think that’s the same as learning music. The practice is never enjoyable, but once you learn something, it then becomes enjoyable. How does it feel to look back on your career path? My career trajectory just happened in ways that I didn’t really plan, but there was a little bit of hope. Opportunities came up for me, and I was very fortunate. Even at this stage, I feel that everything I did in my working life was useful. Whether it was just doing simple things, or very low-level programming, they all built up my understanding. I’m finding them all very useful now. Although, after I entered ACER, I found research, models, information procedures, and writing software very, very interesting. From that point, I decided to pursue academic research. That is a hard question. I’ve learned a lot of lessons through my life. Not every job was the greatest, there were difficulties. But I think that the perseverance part is important. For example, when I first graduated I didn’t think I could do public speaking, and that can be overcome. So, now I’ve learned to believe in myself a lot better—that I can do things that I couldn’t when I was younger. In fact everyone can overcome a lot of things. I always feel that everyone has the capacity to do things when they put their mind to it. You’re a super accomplished data scientist and statistician. What advice do you have for students coming up now? Any advice for women students in particular? I don’t really know if I have such authority in giving people advice. I think personally, opportunities just come along. If things don’t work out, having a brighter outlook is always a good thing. I started my career quite late. But everything that I did, I found, was helpful to me later in life. So, don’t get discouraged. Things work out, and something you did a long time ago can come and help you later in life. The other thing I found very helpful was to always try to put in an effort in whatever you do. I put in the effort out to become a proficient data entry operator. I think that helped me a lot in learning to type later. In fact, once I could type, I became more efficient in a lot of things. I think putting the effort into learning things is building small blocks for your life in the future. Be positive and optimistic about life, really. And enjoy life while you’re living. 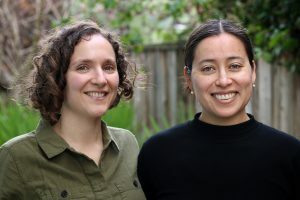 Emilia Huerta Sanchez and Rori Rohlfs are Assistant Professors at Brown University and San Francisco State University, respectively. They want to change both the narrative and reality of who does science by highlighting women’s under-acknowledged roles in computational science.